Here in the archives, there are a variety of articles filed away. 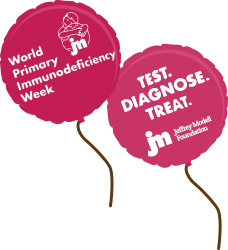 You can read about everything from the ongoing efforts of the Jeffrey Modell Foundation, to the latest published information about Primary Immunodeficiency. Just choose from any of the following articles. When did you join JMF? I joined JMF last April. Role: Executive Assistant, Win Program Coordinator - My role is mainly administrative and I really enjoy it because I get to work on a variety of interesting projects and every day is different. What inspires you? People who are very dedicated to what they do. What aspect of JMF do you find most special? I love the feeling of being a part of something so meaningful that has such a far reaching positive impact. It's very motivating and everyone in the office is very passionate about what they do. What’s your favorite JMF memory? I love working on the "Roots & Wings" Program with Vicki! Favorite Quote: I can't pick just one...but I do love “I Shall not Live in Vain”. To Sum Up! I grew up in Western Massachusetts and went to Colgate University where I studied History and Arabic. After graduation, I lived in Egypt for four years and it was a great experience! I moved back to New York two years ago and then I found the Jeffrey Modell Foundation by luck and here I am! From time to time, we will interview and shine a light on someone special who works hard each and every day, to encourage, support, and enhance the lives of patients with Primary Immunodeficiency. When did you join JMF? On February 6, 2012 I officially joined the JMF Team! What inspires you? Humans! Ha! We are amazing “creatures”. How we think, act, communicate, invent and create, etc. Humans are unstoppable! I truly believe we all have a purpose and it’s our responsibility to seek where our passion lies so we can have an abundant life. What aspect of JMF do you find most special? Vicki and Fred’s passion…they are a wonderful and inspirational Team! Their generosity and compassion. See, unless you work here you really don’t see the daily “hustle and bustle”. Prime example, when a child with PI is discovered it’s an “automatic”….what can we do for this child - NOW! Actions are taken immediately! I have to mention our Executive Director Vanessa because she too deserves credit. Although, Vicki and Fred give the final decision her passion behind the PI Community is no less. She is hands on at all times and when there’s a stall, she will ensure movement right-away. To Sum Up! I am a Latin woman! My parents were from Colombia and Dominican Republic. I am the youngest of 5 daughters, a wife and a mother of 3. To my family and friends I share my love for music, dancing, and poetry. My at times over-the-top spirit and my “bubbly” personality. Life is good, I’m thankful; therefore, my heart is full of joy and you will always see me smile…. (plus, it’s a good anti-wrinkle remedy). Learn About A Special Friendship And How It Grew! Ezra Fineman has PI and one afternoon, Big IGI surprised him at his home and spent hours playing with him; from racing cars, to building space ships! Big IGI first appeared at a 2011 conference and has since lifted kids' spirits during tough times because—like them—he has PI. Going “Behind the Mystery” of CGD with Lifetime! 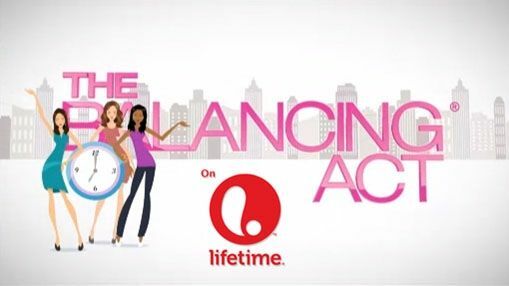 On Monday, June 22 and Monday, June 29 Lifetime’ s “The Balancing Act®” will present a half hour feature on Chronic Granulomatous Disease (CGD) within their “Behind the Mystery” segment. Patients with CGD experience recurrent viral and bacterial infections, most commonly in the lungs. They may also often have inflammation in tissues within the gastrointestinal and genitourinary tracts. Additional symptoms may include abscesses, recurrent skin infections, bone and joint infections, persistent diarrhea, and frequent pneumonias. Don’t forget to tune in on Monday June 22 and Monday June 29 at 7:30 a.m. (ET/PT) on Lifetime! Healthy Sam has reason to celebrate! After over 12 months of various illnesses and trips to the hospital, Sam was successfully treated with a bone marrow transplant. Now at age 5, Sam is smiling bright while he sets free balloons and blows bubbles to celebrate WPIW with ­Dr. John Ziegler at Sydney Children’s Hospital with big smiles. Five Days Until WPIW 2015! In just five short days the Primary Immunodeficiency Community is uniting to create awareness and provide education around the world! For the past five years, organizations all over the world have participated in World PI Week celebratory events to help spread awareness and education about PI. Once again, sites all over the world will participate in the Jeffrey Modell Foundation “Balloons and Bubbles Launch”. This year over 105 locations are participating – making WPIW 2015 bigger and better than ever! 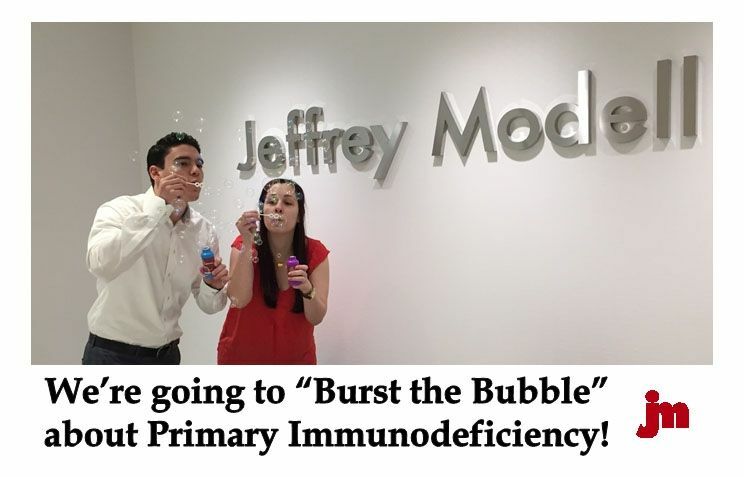 This year we want to *Pop*, *Explode*, and “Burst the Bubble” About Primary Immunodeficiency! You can use soap bubbles, make a bubble from your chewing gum, or even blow them in your chocolate milk – the options are endless and we are excited to see the imaginative and unique ways all of you will participate. Be Clever! Be Cheerful! Be Creative! The best part is that you can "Burst the Bubble" anywhere and with anyone! The five pictures with the most “likes” at the end of World PI Week 2015 will win great JMF prizes! Winners will be announced the week of May 4th. How will you help “Burst the Bubble” about Primary Immunodeficiency? We look forward to seeing what you create and share with the JMF family. 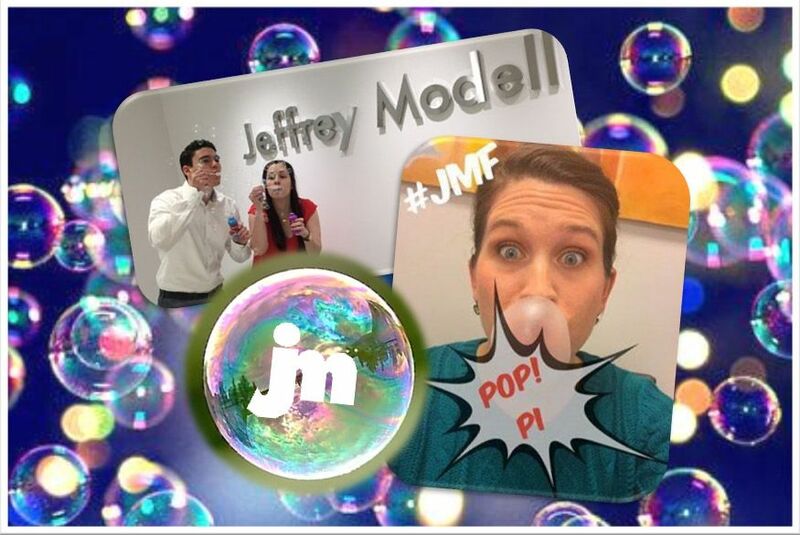 Don’t forget to post your pictures to our Facebook page, tag us, and include the #JMF hashtag! 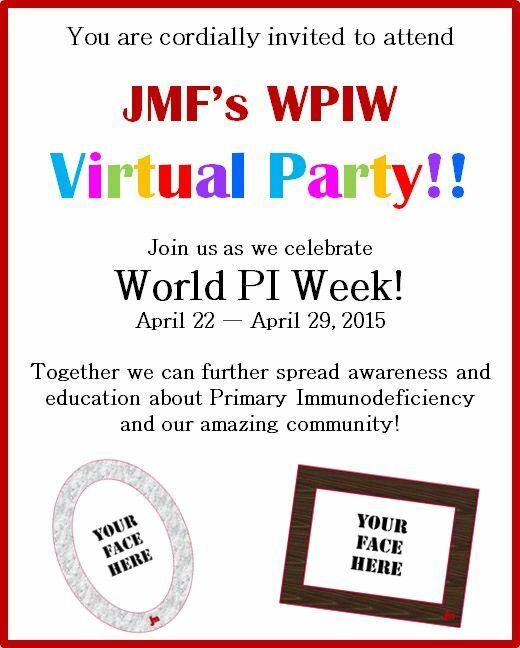 You’re Invited to JMF’s WPIW Virtual Party! Fred and I have always been so grateful to have friends in so many different countries. We may not be in the same place, but we are all connected by the same thing – our strong belief in the importance of educating and spreading awareness about Primary Immunodeficiency. The only downside to having so many friends in so many different places is that we aren’t able to celebrate World PI Week together. So, I have a great idea! Since our community stretches across the entire world, let’s have a Virtual WPIW Party! Even though we can’t actually be with each other during this week of celebration of recognition of PI – let’s pretend!! 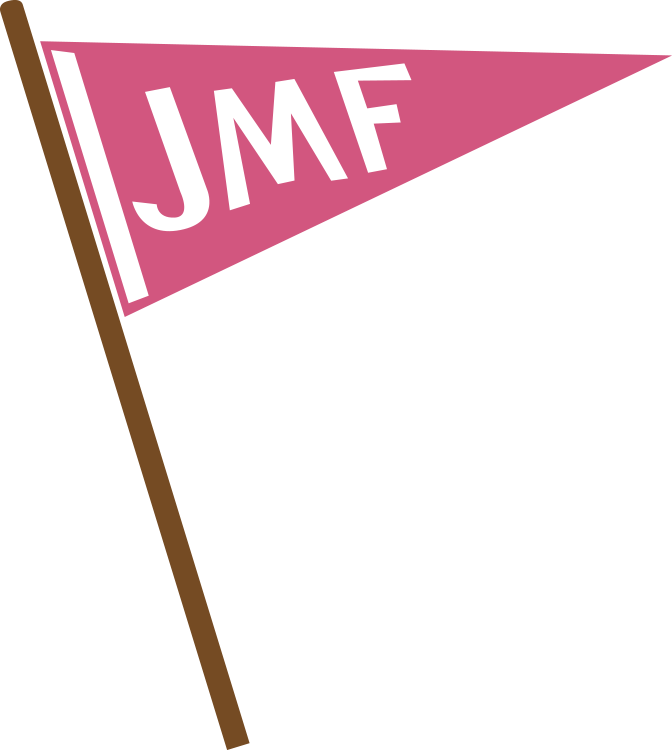 Print out the JMF picture frames below, cut out the middle and pass it around at your WPIW celebration! Take photos with your friends and family, your doctors and nurses, smiling bright and making silly faces! There is no limit to the number of pictures you can take or the fun you can have! With so many picture frame photos it will feel as if we’re all together at the same party! Then, post your pictures to our Facebook page, or send them to us via info@jmfworld.org and we’ll be able to compile an amazing “Virtual Party” photo album to be published the week of May 4th. They call it World PI Week for a reason! entire community, reaching every corner of the world! Let’s pretend that we aren’t miles apart or that oceans divide us, and that we are one strong and powerful voice, standing together to save lives. Let’s make WPIW 2015 the biggest and best celebration yet. WPIW is such an exciting and fun time and I am very much looking forward to “seeing” you during the celebrations! Applications Can Be Submitted Now For 2015 CIS Summer School! The Clinical Immunology Society Summer School is geared toward fellows-in-training, with a primary goal of education in the diagnosis, pathogenesis, and treatment of Primary Immunodeficiency diseases. The secondary goals of the Summer School are to attract and develop future scientists in academic medicine and to enhance the awareness of clinical Immunology and its importance in scientific discoveries and clinical applications. This program encourages student interaction with faculty and thought leaders in Immunology in a casual and intimate setting. Researchers Discover Link between Childhood Leukemia and Bruton Tyrosine Kinase Gene. A Western University study demonstrates that reduced expression of the Bruton Tyrosine Kinase (BTK) gene plays a key role in acute lymphoblastic leukemia (ALL). BTK has been extensively studied in human populations because of its well-known association to a Primary Immunodeficiency called X-linked agammaglobulinemia. The New England Journal of Medicine Reports on "Glycosylation, Hypogammaglobulinemia, and Resistance to Viral Infections"
A shortened immunoglobulin half-life was determined to be the mechanism underlying hypogammaglobulinemia. Impaired viral replication and cellular entry may explain a decreased susceptibility to infections. ADMA Biologics, Inc., a biopharmaceutical company that specializes in plasma-based biologics for the treatment and prevention of certain infectious diseases, announced its lead product candidate demonstrated positive results based off a clinical trial of 59 patients with primary immunodeficiency . Additional endpoints include incidence of all infections (serious & non-serious), lost days of work or school, hospitalizations, emergency room visits and antibiotic use among others. 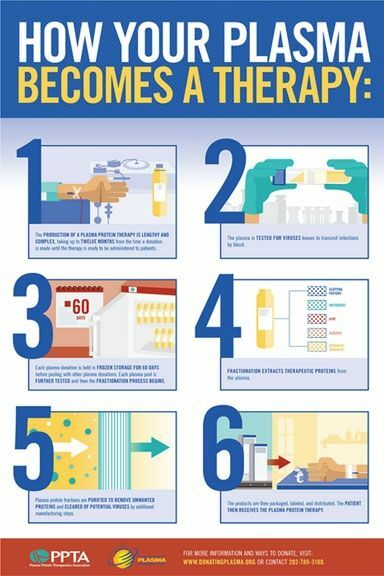 Adam Grossman, President & CEO of ADMA Biologics, stated, "This is a tremendous milestone for our Company and for immune compromised patients… We are proud and encouraged that based upon the initial review, RI-002 has met its primary endpoint of preventing serious bacterial infections such as bacterial pneumonia, osteomyelitis and bacterial sepsis in immune compromised PIDD patients." "DOCK8 Helps Mobilize Immune Cells in the Skin"
New findings explain why DOCK8-Deficient patients are susceptible to infections. NIAID scientists have discovered a clear role for DOCK8 in the immune system. When DOCK8 is missing or mutated, T and NK cells cannot move across dense tissues like the skin, preventing immune cells from clearing viral infections. We Get Mail!-We get numerous inquiries about PI through our Website or via email. Whether it’s a concerned parent, a physician that wishes to become a part of our esteemed network of Expert Immunologists, pharmaceutical representatives requesting a 10 Warning Signs or our Educational Brochures or just someone that has seen our PSA’s and wants to learn more about PI. We provide information with Vicki’s guidance to answer these inquiries. I also manage donor acknowledgments, making sure that the generous contributions we receive are deposited and acknowledged in a timely manner. Lastly, I provide back up to Catherine on all her receptionist duties. What inspires you? Helping others….. Most of my working career has been spent in the nonprofit sector. I am a CERT volunteer (Community Emergency Response Team), Building Homes for Heroes and I coordinate a commemorative ceremony each year at World Trade Center Memorial that has been erected in the town in which I live. What aspect of JMF do you find most special? The tremendous growth of the organization since it was created. Many years ago, Vicki and Fred were introduced to an organization called the CEC Children’s Fund (which later on became Futures & Options for Kids). This organization provided grants to children’s charities. In 1989, JMF was given a small grant by Futures & Options for Kids to become a “Founder” and thus began a relationship that endured until 2009. Futures & Options for Kids provided grants for KIDs Day in New York City and would request interim progress reports which included the JMF newsletter. It was amazing to witness the “global” growth of JMF throughout the years. And today, it is even more amazing as an employee, to witness the continued growth of JMF! What’s your favorite JMF memory? Meeting Jared for the first time. He is indeed a “Miracle baby”! To Sum Up! I’ve always considered my role as a parent to be my most important “job”. But my new role as a grandparent has brought such tremendous joy and happiness to me! HYQVIA is the first subcutaneous immune globulin (IG) treatment approved for PI patients with a dosing regimen requiring only one infusion up to once per month (every three to four weeks) and one injection site per infusion to deliver a full therapeutic dose of IG. The majority of PI patients today receive intravenous infusions in a doctor's office or infusion center, and current subcutaneous IG treatments require weekly or bi-weekly treatment with multiple infusion sites per treatment. "Gene-Therapy Trial for ‘Bubble Boy Syndrome’ Shows Promise"
A recent trial at Dana-Farber/Boston Children’s Cancer and Blood Disorders Center revealed that patients with SCID who had received gene-therapy showed promising results. Without treatment, which is currently stem-cell transplants primarily from bone marrow, most children die before the age of 2. The study was recently reported in the Wall Street Journal, you can read the entire article here. An Expert Immunologist, Dr. Juan Carlos Aldave from Peru, has skillfully created an algorithm for sub-specialists to recognize the symptoms of Primary Immunodeficiency. The clinical presentations of PI can be very diverse, affecting different organs and systems. In order to achieve earliest possible and correct diagnosis, these findings must be quickly recognized by specialty care physicians! Dr. Aldave has compiled a chart of various symptoms and the possible PI’s they can stem from. Visit our Library and read our Physician Education tab in the Educational Materials to learn more. On Tuesday, December 2nd, the Jeffrey Modell Foundation will align with the United Nation’s #GivingTuesday to help promote a global day of giving back. You can use soap bubbles, make a bubble from your chewing gum, or even blow them in your chocolate milk – the options are endless and we are excited to see the creative and unique ways our community will participate. At JMF, we strive to do good every day and we are excited to align with such a powerful message of giving back worldwide! We hope to further spread our mission about the importance of education and awareness about Primary Immunodeficiency! How will you help “Burst the Bubble” about Primary Immunodeficiency? We look forward to seeing your bubbles and don’t forget to include the #JMF and #GivingTuesday hashtags! The Jeffrey Modell Foundation is proud to support the Plasma Protein Therapeutics Association (PPTA) and International Plasma Awareness Week (IPAW). Plasma, which can be found in our blood, carries many important elements that help keep the body healthy. "People throughout the world rely on plasma protein therapies which are developed through the generosity and commitment of plasma donors. PPTA is proud of the contributions we and our member companies make to saving and improving lives..." said Joshua Penrod, PPTA, Vice President. 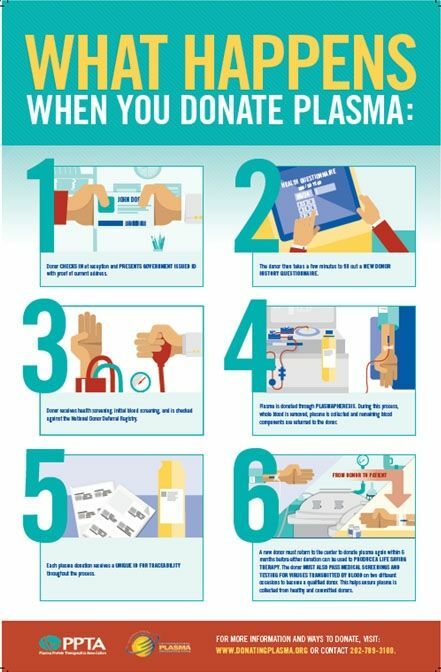 Plasma donations are extremely important and needed to treat many different conditions, including Primary Immunodeficiency. IPAW launches on Sunday, October 12 and will run until Saturday, October 18 2014. Make sure to stay connected with JMF as we share important information about donating plasma – the where’s, what’s, and how’s! 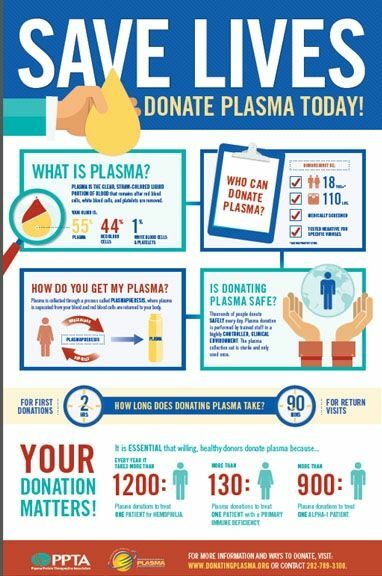 To learn even more about plasma donation, visit www.donatingplasma.org and look for key facts being shared through the JMF social channels – JMF Facebook, @info4pi (Twitter), @info4pi (Instagram) ! Happy New Year to all babies in the state of Washington! A major victory has taken place in the state of Washington. Happy New Year to all the babies who will be screened for Severe Combined Immunodeficiency from now on. This genetic birth defect is more commonly known as, “The Bubble Boy” disease and leaves children with no immune system and tragically, can lead to death before their first birthday. With no protection from diseases and even the common cold, Fred and Vicki Modell saw no other choice but to fight for these defenseless babies. Due to five years of hard work, dedication, and passion, the Modell’s have made it possible for countless babies to receive the necessary transplants to save their lives. The success in Washington is merely a stepping stone to the ultimate goal. There are still 27 states that are preparing for implementation and eight that remain unengaged. The fight continues to push state legislators to include newborn screening for SCID on the panel. An unprecedented surveillance study launches today to contribute to global polio eradication efforts. Recent outbreaks of Polio in Israel, Syria, Kenya, South Sudan, and Somalia have once again placed the virus at the forefront of Public Health Officials' concerns. The Jeffrey Modell Foundation's surveillance study will focus on patients with Primary Immunodeficiencies (PI) who have either received the Oral Polio Vaccine (OPV), a live-weakened form of the virus, or have been exposed to it. Due to little or no immune system, when a patient with PI receives OPV, he or she is unable to create an immune response and therefore, cannot clear the intestinal vaccine virus infection, which is typically excreted within six to eight weeks by individuals with healthy immune systems. Raise awareness of Primary Immunodeficiency in your community. Support advocacy efforts with government officials. Build support for your organization and mission/ raise funds to support your activities. Gain more attention around your activities/ attract media attention. Spread the word about the lack of recognition, diagnosis of PI and access to adequate treatment. Support your patient group or local chapter. Educate new patients and their families; schools and health professionals. Attract more volunteers and members. Promote the Global PI Call to Action in support of greater awareness, understanding, diagnosis and optimal management of PI. Adapt the World PI Week messaging to address the unique challenges surrounding PI in your country. Ken Berger, President and CEO of Charity Navigator, awarded the Jeffrey Modell Foundation its highest 4-star rating for sound fiscal management and commitment to accountability and transparency. Charity Navigator is a service that assists the general public in allocating their donations intelligently. Teams of analysts assess over 6,000 charitable organizations to ensure that best practices are maintained. Utilizing an unbiased, objective, and data-driven approach, the Charity Navigator Team bases their assessment of charities on financial health, transparency, and accountability. Donors are informed as to how well a charity is allocating their funds, how well programs are sustained and managed, and ultimately, the charity’s commitment to good governance. By achieving a 4 out of 4 star rating, Charity Navigator has indicated that the Jeffrey Modell Foundation exceeds industry standards and outperforms others within its cause. According to Ken Berger, “this ‘exceptional’ designation from Charity Navigator differentiates Jeffrey Modell Foundation from its peers and demonstrates to the public it is worthy of their trust”. Vicki Modell, Co-Founder of JMF added, “We continue to be honored by this designation from Charity Navigator and we hope that this prestigious rating assures our donors and the general public of the integrity of our work and commitment to our mission”. 212 world-renowned experts in Primary Immunodeficiency from 78 countries signed a “Berlin Declaration” calling for global implementation of newborn screening for Severe Combined Immunodeficiency (SCID), at the recently convened Berlin Summit organized by the Jeffrey Modell Foundation. The meeting brought together physicians from the Jeffrey Modell Centers Network (JMCN) addressing new discoveries, innovative research, best practices, new treatment protocols, and the exploration of regional challenges and successes in the field. A major topic of discussion was the addition of SCID to Newborn Screening programs worldwide. The test for SCID utilizes the TREC Assay. It provides the earliest possible identification of this life threatening condition and allows for early intervention of bone marrow transplantation before infants suffer from severe infections, organ damage, and ultimately, death. While other methods are currently being developed, the TREC Assay has the specificity and the sensitivity to accurately identify affected newborns. The Jeffrey Modell Foundation recently collaborated with the Eunice Kennedy Shriver National Institute of Child Health and Human Development (NICHD) at the National Institutes of Health to distribute our NEW Illustrated 10 Warning Signs Poster to more than 46,000 pediatricians in the U.S. Our Pediatrician Public Awareness Campaign is supported by Director of the NICHD, Dr. Alan Guttmacher, whose personal letter accompanied the poster. The goal of the Campaign is to alert physicians and other healthcare professionals to the 10 Warning Signs of PI, so that affected children and adolescents receive early diagnosis and appropriate treatment. Back to School! Back to Flu? Did you know? There are two different types of flu vaccines; live and killed. The killed version of a vaccine will not pass the virus to a person with immune deficiency. The Jeffrey Modell Foundation is very proud and pleased to support the Harvard Medical School Graduate Program in Immunology. Read a report on the JMF/Harvard Collaboration which has been featured in the Harvard Newsletter! Texas Children’s Hospital establishes a new Jeffrey Modell Diagnostic & Research Center! We're excited to welcome Texas Children's Hospital to our JMF family. The Dr. von Haunersches Children’s Hospital is now inviting applications for two prestigious fellowship positions. The Children’s Hospital (Kinderspital) is affiliated with the Munich University Hospital of the Ludwig-Maximilians-University. Pediatric residents and junior clinicians planning to specialize in Immunology with specific interest in basic and translational science of Primary Immunodeficiency are encouraged to apply. These respected fellowships have been established through the Dr. von Haunersches Academy’s Else Kroner Fresenius Clinical Research School. Applications are required to be submitted by September 30th, 2013. These fellowships are made possible by the Dr. von Haunersches Kinderspital and are independent of support from the Jeffrey Modell Foundation. The Jeffrey Modell Foundation proudly announces our new Translational Research Program! The timing is critical to support research that will bridge basic science discoveries to impactful clinical application. The Foundation believes that the research grants supported by this Program will lead to advancement in clinical recognition, diagnostic tools, and innovative therapies that will impact overall health outcomes and improve the quality of life of those affected by Primary Immunodeficiency. The outlook for science has never been brighter...We know more today than ever about the molecular basis for thousands of diseases that impact millions of people. A recent Capitol Hill briefing for over 100 congressional members and staffers, patient advocates, and pharmaceutical representatives brought attention to translational research. The phase of medical research and development between the birth of scientific discovery and a potential therapy for patients was characterized as “the stuff in between” microscope and marketplace. Today the molecular causes of 4,500 diseases are known, yet drugs are available to treat only 250 of them. 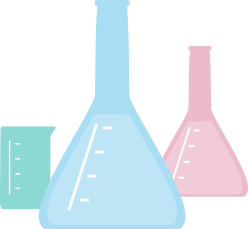 Developing a therapy from discovery to clinical practice requires partnership and collaboration across all sectors of medical research: scientists, industry, investors, and patients. There is no time to waste! The time is critical for Translational Research! Stay tuned for an exciting announcement from the Jeffrey Modell Foundation on August 15th! The Association of Public Health Laboratories (APHL) has been having a weeklong conference celebrating “50 Years of Newborn Screening! Celebrating the Past and Preparing for the Future”. At the meeting, Vicki and Fred Modell were awarded the “2013 Champion of Newborn Screening” Award for their “tireless efforts to promote Newborn Screening across the globe and to improve or save the lives of newborns afflicted with PI”. The Jeffrey Modell Foundation is honored and humbled to receive such a prestigious award and we accept it on behalf of all the babies that have been saved because of Newborn Screening for SCID. A Letter from DNA structure’s co-discoverer to his young son sells at auction for $6M explaining how “life comes from life’’. This letter sure has dominant genes — a 1953 missive from the co-discoverer of DNA’s structure to his 12-year-old son explaining how “life comes from life’’ was auctioned for a record-setting $6 million yesterday. In 2012 the Jeffrey Modell Foundation was awarded a $5 million grant from the U.S. Centers for Disease Control and Prevention (CDC). The grant will address Primary Immunodeficiencies educating physicians and increasing public awareness of the more than 200 Primary Immunodeficiency disorders. A quick overview of the Jeffrey Modell Foundation. To date, more than two million newborns in 10 states are being screened for SCID. At least 30 babies have been identified and saved through this Program. 60 of the world’s leading expert Immunologists from 20 countries in the Middle East convened for an historic three-day Scientific Workshop on Primary Immunodeficiencies. Immunologists from Algeria, Azerbaijan, Egypt, Greece, Iran, Israel, Jordan, Kuwait, Lebanon, Morocco, Oman, Palestine, Qatar, Saudi Arabia, Tunisia, Turkey, United Arab Emirates, as well as Canada, France, and the United States participated. The goal of the regional workshop was to blend research with clinical care practices and to address newly discovered defects, protocols for diagnosis and treatments, including newborn screening, bone marrow transplantation and gene therapy. Remarkably, the incidence of Severe Combined Immunodeficiency (SCID) is reported to be 5 times greater in the Gulf Region than in most other parts of the world. The JMF has initiated a new research program to study the presentation and outcome of rare conditions. Using its database, which includes high numbers of various genotypes around the world, JMF is able to provide an excellent platform for collaboration. Investigators working with JMF will gain access to this international database and be able to contact physician/researchers that have a large number of patients with various specific defects, in order to coordinate studies. Public-Private Collaboration to Save Babies Lives - JMF hosted and testified at a Congressional Briefing advocating on behalf of newborns, infants and toddlers. The Congressional Baby Caucus is a Public-Private Collaboration to Save Babies Lives, is dedicated to early diagnosis and appropriate access to treatment. The briefing was focused on Newborn Screening for SCID and related T-Cell Lymphopenia. • 20 states with 2.3 million newborns per year are currently screening for SCID. • 23 states with 1.4 million newborns are prepared to begin screening in 2013. • 93% of the newborns in the U.S. are in states currently screening or preparing to begin. "Super Panel for Primary Immunodeficiencies"
The Jeffrey Modell Foundation has established a standing peer review “Super Panel of Experts” in order to provide answers to a variety of inquiries from the Primary Immunodeficiency community. This is in direct response to the numerous questions and requests that are continuously received from patients, clinicians, providers, payers, industry, government agencies and others. The "Super Panel of Experts" will provide recommendations and answer questions within the scope of JMF’s mission: Basic and Clinical Research, Physician Education, Patient Concerns, Reimbursement, Public Awareness and Advocacy. In order to submit inquiries or requests to the "Super Panel", a short “request for peer review” form must be completed. Once the Panel has an opportunity to review and provide input, the Foundation will respond to the request with appropriate recommendations. This service is provided on behalf of the Jeffrey Modell Foundation as a gift to the PI community, and as an opportunity to tend to the needs and increase awareness of PI with the help of experts in this field. U.S. News and World Report ranked the best children’s hospitals, medical schools and Immunology Graduate Programs in the United States. winMD Offers Grants to Physicians Worldwide! Since inception in 2011, winMD has granted funds to more than 45 physicians to attend medical conferences around the world. This past year, winMD funded grants for physicians to travel to attend Conferences such as The European Society for Immunodeficiencies (ESID) Meeting in Italy, the Clinical Immunology Society (CIS) Workshop in Chicago, and the Primary Immunodeficiency Treatment Consortium (PIDTC) in Boston, and more. winMD was established to further JMF’s mission to enhance physician education. winMD offers grants to medical students, fellows, researchers, and physicians to support travel to national and international medical conferences that highlight Primary Immunodeficiency. 155 WIN Grants Awarded to Patient Organizations Worldwide! The World Immunodeficiency Network (WIN) has awarded grants to Patient Organizations around the globe and continues to expand every year. WIN grants funds for medical conferences, workshops, Websites, a National Exhibition for General Practitioners in the Netherlands, KID’S Days, as well as educational materials and much more. Since its inception, WIN has awarded more than $600,000 to these patient organizations worldwide. WIN is supported by multiple global pharmaceutical corporations. Angel Flight Takes Off with "Roots & Wings"
The “Roots & Wings” Program was established by the Jeffrey Modell Foundation to provide travel and related support to families whose child has been identified with a potentially life threatening Primary Immunodeficiency that requires lifesaving medical care. These little patients often require transportation to specialized centers where they might reside for several months while undergoing treatment. “Roots & Wings” will make life easier, reduce the burdens, and enable these children to have a second chance at life. Angel Flights has joined with JMF to provide free air transportation by their volunteer pilot network for the patients and their families, especially those living in rural areas that need specific care at urban hospitals. The Texas Department of State Health Services has added Severe Combined Immune Deficiency, SCID, to the list of diseases that all newborns in Texas are screened for at birth. The DSHS laboratory began screening for SCID in September using the same newborn screening specimens already collected to test for 28 other rare disorders. The Jeffrey Modell Foundation convened with more than 200 leading physicians from 17 African Countries at the African Society for Immune Deficiencies (ASID) held in Hammamet, Tunisia. JMF presented a “Call to Action” with a mission of encouraging African governments to recognize and prioritize Primary Immunodeficiencies in their countries and throughout Africa. Physicians from Algeria, Benin, Burkina Faso, Cameroon, Egypt, Guinea, Libya, Mali, Mauritania, Morocco, Niger, Nigeria, Senegal, South Africa, Sudan, Togo, Tunisia and Zambia participated at the ASID meeting. The Tunisian Minister of Health was the first Public Official in Africa to sign the "Call to Action". We are pleased to share a wonderful book that describes the story of one of our patients and the amazing journey that the family embarked on from diagnosis to recovery. “Andy & Sofía - Stem cells, scientific miracles and one fit savior” is a touching story of love, courage, and strength. It is an honor to know that a private school has placed this book on their required reading list, and this is clearly due to the story’s unique, inspirational, and motivating chronicle of a boy who was saved by his family. NEMO is a Primary Immunodeficiency caused by a gene defect. It is an immunodeficiency that affects multiple facets of the immune system. Patients often have severe infections that can affect virtually any part of the body. The Jeffrey Modell Foundation developed SPIRIT® Analyzer Software as a screening tool to identify “at risk” undiagnosed patients with Primary Immunodeficiency. In 30 minutes or less, SPIRIT® can analyze one million pharmacy and medical claims, and then can send automatic alerts to physicians whose patients appear in high risk categories, to indicate that further testing is recommended. By providing the opportunity for early identification of PI, SPIRIT® will have an enormous impact on quality of life for affected patients and reducing the cost of healthcare and human suffering. The software has been beta tested, piloted at three different sites, and further tested for sensitivity and specificity. The next step for the SPIRIT® Analyzer is the roll-out of the software to third party payers, hospitals, government agencies and other healthcare organizations throughout the United States. Kids will be “KIDS” – Created in 1988, KIDS Days started in New York City. The KIDS Day Program has spread from Seattle to St. Louis, Sao Paulo to Shanghai, Miami to Morocco, Oslo to Omaha, Chicago to Colombia and all that’s in between. Kids Days provide PI patients and their families, along with their doctors and nurses, an opportunity to relate and form friendships in a casual environment outside of the hospital. Events have been held at a range of great locations, including baseball games, museums, aquariums, zoos, carnivals, and bowling alleys, just to name a few - with clowns, face painting, balloons, magicians, and other fun activities...not to mention lots of food! Thanks to our generous sponsors in 2012, this Program continues to thrive and has an important impact on so many patients and their families. It’s a special fun-filled, festive, incredible, and unforgettable day for all! PSA Campaign tops over $240 Million in Donated Media!! The Jeffrey Modell Foundation’s Public Service Advertising campaign on PI is in its 7th year and continues to thrive. This exciting Awareness Campaign adds to our previous efforts bringing the total to over $240 million to date. JMF recently launched ads in Spanish: Estrella de Rock and Jugador de Béisbol. Full page 4-color print ads have appeared in Time, Newsweek, Sports Illustrated, Forbes, InStyle, Harper’s Bazaar, Parents Magazine, and many others. The Jeffrey Modell Foundation Centers Network includes: 490 Expert Physicians at 194 Diagnostic, Research, and Referral Centers, in 64 countries spanning 6 continents. Data was collected from the Center Directors and collated. A peer reviewed manuscript was submitted, accepted, and published. Patients identified with PI defects in the past two years increased 112%. Patients requiring IgG therapy in the past two years increased 107%. Healthcare costs for patients diagnosed and treated one year after diagnosis are reduced by $108,462 per patient, per year. JMF’s new software, the SPIRIT Analyzer® was tested and 1:583 persons were identified as high risk of PI. The Jeffrey Modell Foundation is proud to establish the Israel Network of Specialized Centers for Primary Immunodeficiency. The Network includes centers in Tel Aviv, Jerusalem, Haifa, Rehovot, Holon & Tel Hashomer. Formal dedication ceremonies took place at the Safra Children’s Hospital in Tel Hashomer and at Hadassah Hospital in Jerusalem. Both events included a high level scientific symposium as well as tours of the laboratories and clinical facilities. On October 12th, 2011, a High-Level Summit was held in Mexico City in order to enhance the lives of patients with Primary Immunodeficiency (PI) throughout Latin America. Organized by the Jeffrey Modell Foundation (JMF) in collaboration with the Latin American Society for Immune Deficiencies (LASID) and the International Patient Organization for Primary Immunodeficiencies (IPOPI), the meeting was comprised of Latin American government officials, Expert Immunologists and Patient Organizations from Argentina, Brazil, Chile, Colombia, Costa Rica, Mexico and the U.S. to endorse a Latin American “Call to Action”. The document provides steps to assure earliest possible diagnosis and equal access to safe and appropriate treatment of Primary Immunodeficiency. Newborn Screening for SCID Marches On! JMF continues in its quest to screen every newborn for Severe Combined Immune Deficiency (SCID). To date, more than two million newborns in 10 states are being screened for SCID. At least 30 babies have been identified, and many already cured, through this Program. In June 2011, the Wisconsin Department of Public Health stated that not a single baby has been lost to SCID in the 31⁄2 years since the Newborn Screening program was started. The Jeffrey Modell Foundation, in collaboration with Latin American Society for Immunodeficiencies (LASID) and the International Patient Organization for Primary Immunodeficiencies (IPOPI), will be hosting a Latin America High Level Summit in Mexico City this October. In attendance will be leading health policy makers from regions in Latin America (Argentina, Brazil, Chile, Colombia, Costa Rica, Mexico, and others), key immunologists and patient organizations, all of whom will have the opportunity to share views about current policies, treatment options, and best practices with respect to PI. This will be an occasion to openly discuss Latin America health policies and rare disease plans. Additionally, Health Officials participating in this Summit will be asked to sign the “Latin America Primary Immunodeficiency Call to Action.” The “Call to Action” will encourage recognition, prioritization of PI as well as action at the national government level, reflecting regional differences and key challenges, to ensure that each child and adult in Latin America has the best chance of early diagnosis and effective treatment. The Jeffrey Modell Foundation announced that Vanessa Tenembaum has been appointed as Executive Director. The new position responds to the dramatic expansion of the Jeffrey Modell Centers Network. The Jeffrey Modell Foundation congratulates Drs. Bruce Beutler, Jules Hoffman and the late Ralph Steinman, recipients of the Nobel Prize in Physiology or Medicine, for their research on the immune system and its relationship to infectious diseases. Every year since 1901, the Nobel Prize is awarded for achievements in physics, chemistry, physiology or medicine, literature and peace. The Nobel Prize is an international award administered by the Nobel Foundation in Stockholm, Sweden. Since 1901, 34 of all Nobel Laureates in physiology or medicine were awarded for their research and discoveries in Immunology. The Jeffrey Modell Foundation is pleased to honor these outstanding scientists on our “Wall of Immunology” in the Board Room of our New York Offices. A similar tribute is located at the Jeffrey Modell Foundation Center at the Harvard Medical School. Vicki and Fred Modell dedicated the first Jeffrey Modell Diagnostic and Research Center in Argentina. It is located at the Children’s Hospital Ricardo Gutiérrez, in Buenos Aires. The 2 day event opened with an extraordinary KIDS DAY attended by more than 100 patients and their families. A theatrical presentation about the immune system included live music and a circus performance. The hospital dedication was highlighted with presentations by patients, physicians, and Vicki Modell, Co- founder of the Jeffrey Modell Foundation. Argentina’s National Television Network ran a 6-minute story on the dedication and La Nacion, Argentina’s leading newspaper, published a story on the events. World Immunology Conference and Museum Gala Draw over 1000 Guests! The Jeffrey Modell Foundation celebrated its 25th Anniversary, at New York City’s landmark American Museum of Natural History. The sold out event – “25 Years and Still Reaching for the Stars” honored David W. Levinson, Chairman and CEO of L&L Holding Company. Levinson, together with his partner Rob Lapidus, founded L&L 11 years ago. It is a privately owned real estate investment & development company that owns more than 5 1⁄2 million square feet of commercial office space valued at over $3 billion. Longtime generous supporters from the real estate industry, pharmaceutical companies, government officials, board members, donors, physicians, family and friends filled the Museum’s Hall of Ocean Life to capacity. 360 Expert Immunologists from 62 countries, convened at Rockefeller University, for the Jeffrey Modell Foundation’s first World Immunology Conference – “A Global Get-Together.” The Conference began with a Keynote Address delivered by Nobel Laureate, Dr. David Baltimore, President Emeritus, California Institute of Technology. The Conference was Webcast in real-time to physicians throughout the world. This provided an opportunity for physicians, scientists, and medical students from around the world to interact with more than 40 speakers on a vast array of topics including Primary Immunodeficiencies, Autoimmune Diseases, Cancer, Bone Marrow Transplantation, and Gene Therapy. Viewers from 38 countries participated in the Webcast. We are very proud that one of our speakers, Bruce Beutler, an immunologist, has just been awarded the 2011 Nobel Prize in Medicine. Congratulations, Dr. Beutler! JMF's PSA Campaign, “When I Grow Up”, continues to raise public awareness about Primary Immunodeficiency. “When I Grow Up” speaks to the wonderment of a child's dream; a dream of a future without hospital visits, sleepless nights, and without fear. It speaks to the dreams of playing baseball, fighting fires, becoming a chef, and even becoming a glittery rock star. Our Website is updated with our new PSA’s, including: TV Commercials, Radio, Print Ads, and outdoor advertising in malls, airports, and shopping centers. EU Parliament Endorses the Primary Immunodeficiency "Call to Action"
EU Urged to take Robust Action to Tackle Primary Immunodeficiencies! The Jeffrey Modell Foundation is pleased to announce a new funding opportunity; the “Dr. Ronald H. Laessig Memorial Newborn Screening Fellowship”. This Fellowship is available to post-doctoral candidates to conduct newborn screening research focused on Primary Immunodeficiencies. Dr. Laessig was Director of the Wisconsin Laboratory of Hygiene from 1980- 2006. He initiated the nation’s first Newborn Screening Program for SCID in the state of Wisconsin. Sadly, he passed away shortly after this ground breaking and courageous initiative started. Kathleen Sebelius, Secretary of the U.S. Health and Human Services, recently acted to add screening of Severe Combined Immunodeficiency Disease (SCID) to the core panel for universal screening of all newborns in the United States. SCID is the first new disease to be added to the Uniform Core Screening Panel. The states of Wisconsin, Massachusetts, and California have already begun to screen every newborn baby for SCID, and 17 States are now preparing to implement screening programs. JMF has championed this cause for more than 10 years. Following up on Secretary Sebelius’ decision, JMF has been in contact with the Governors and Public Health Departments in all 50 states. The Jeffrey Modell Centers Network now includes 80 funded diagnostic and research centers around the world. We have received commitments to establish more than 25 new Centers! These commitments will bring the number of Jeffrey Modell Centers to over 100! They will be located in the United States, Canada, Latin America, Europe, Central and Eastern Europe, the Middle East, North Africa, and Asia. The JMF Referral Network now includes more than 450 expert immunologists at 190 academic teaching hospitals and medical schools in 165 cities, 55 countries, spanning 6 continents. To date, physicians in the Network have reported that 45,590 patients have been identified with specific PI defects. The Jeffrey Modell Foundation has developed innovative screening software called SPIRIT®, Software for Primary Immunodeficiency Recognition Intervention and Tracking. This new initiative is designed for healthcare organizations to help identify patients with undiagnosed PI. The software has been beta tested, piloted at three different sites, and further tested for sensitivity and specificity. The next step for the SPIRIT® Analyzer is the roll-out of the software to third party payers, hospitals, government agencies, and other healthcare organizations throughout the United States. The scientific peer-reviewed journal, Immunologic Research, has published six studies on PI submitted by the Jeffrey Modell Foundation. The studies show dramatic increases in referrals, diagnosis, treatment, and testing resulting from the Foundation’s Physician Education and Public Awareness Campaign and compare quality of life issues and economic consequences for diagnosed and undiagnosed patients with PI. The article, entitled “From Genotype to Phenotype. Further Studies Measuring the Impact of a Physician Education and Public Awareness Campaign on Early Diagnosis and Management of Primary Immunodeficiencies” was recently published. Specifically, the data reflects the immunodeficiency defects of 30,283 patients globally, of which, 10,192 were identified in the U.S. The survey data shows where the patients were diagnosed and treated, who diagnosed and treated them, and what type of treatment they were receiving. JMF continues to assure that expert clinical care and research dedicated to pediatric immunology will continue in perpetuity. The fourth Jeffrey Modell Endowed Chair in Pediatric Immunology Research was recently dedicated at Children's Hospital of Philadelphia (CHOP). The first endowed professor holding the chair at CHOP is Jordan Orange MD, PhD. Endowed chairs have also been established at Boston Children's Hospital, Seattle Children's Hospital, and New Orleans Children's Hospital. The Jeffrey Modell Foundation organized the International Union of Immunological Society (IUIS) Expert Meeting on PI, in Dublin. JMF has proudly organized and sponsored the IUIS meeting for 14 years. Over 150 participants including the Expert Committee, speakers, and invited delegates attended this meeting. These meetings generate important breakthrough findings through dialogue and research presentations. The resulting reports provide vital information to the medical community, as well as to international governments to help determine healthcare policy. The symposium emphasized molecular biology and the genetics of these disorders. 4 of the U.S. National Institutes of Health (NIH) announced a funding opportunity, Investigations on Primary Immunodeficiency Diseases, soliciting investigator-initiated grants in PI research. The JMF is a funding partner with the NIH. The program will support novel clinical strategies to identify the molecular basis of PI diseases and to develop innovative therapies. Investigators who have no prior history of receiving independent NIH funding in this field are encouraged to apply. The Robert A. Good/Jeffrey Modell Fellowship in Transplantation and Immunodeficiency is an international fellowship program with a clear mandate to fund the brightest investigators focused on primary immunodeficiency and stem cell transplantation. The Fellowship Program will honor one of our greatest teachers of the last century, Dr. Robert A. Good, and his patient, Jeffrey Modell. The Dina LaVigna "Breath of Life" Triathlon celebrated its 10th anniversary as a widely recognized premiere charity event. Sharing in this successful milestone again this year was a "sell-out" crowd of over 1,200 athletes and volunteers. This singular Southern California event raised over $100,000 to be used to improve the conditions and experience of children undergoing PI treatment. Of all the accomplishments of the Dina LaVigna "Breath of Life Fund" over the 11 years since its inception, the LaVigna family is perhaps most proud of the special relationship they share with JMF. With support of the entire JMF team, the LaVigna family has succeeded in opening two "Dina's Room" state-of-the-art facilities, one at Mount Sinai, New York City, where Dina lived as a young adult, and most recently, at Mattel Children’s Hospital in Los Angeles. The LaVigna family celebrates the anniversary this year of Dina's birth 45 years ago, the 10th anniversary of the “Breath of Life” Triathlon, and their next project to improve PI treatment. If you are ever looking for a fun way to test your endurance, come out to California in June... and be sure to tell the organizers that the Modell's sent you! At the Jackson Hole (Wyoming) Expert Meeting on Primary Immunodeficiencies, 35 Jeffrey Modell Center Directors and industry supporters convened to review advances at our Diagnostic and Research Centers. There was a consensus reached to set up a working Centers Network that would frame the scientific agenda. Areas of specific interest would include best practices, clinical guidelines, outcome measures and data capture, novel therapies, a research platform, an international fellowship program, and expansion of the Physician Education and Public Awareness Campaign (PEPAC). The SCID (Severe Combined Immune Deficiency) Family Conference took place in beautiful Wintergreen, VA, with approximately 175 people in attendance. The conference served as an opportune moment for families affected by SCID and doctors involved in the field to unite and share their ideas and dreams, along with their experiences and achievements. These include recent developments in SCID research, newborn screening, bone marrow transplantation, gene therapy, enzyme therapy, and other important developments. The highlights included the participation of Navajo Indian families who traveled across the country to attend this event, as well as a Mennonite family who made a special appearance outside of their community. JMF was proud to participate as a sponsor of this informative and educational weekend. Excerpts of remarks delivered by Vicki Modell at the dedication of the Jeffrey Modell Diagnostic Center and the Jeffrey Modell Endowed Chair in Pediatric Immunology Research, Children’s Hospital, Boston. When I sat down to prepare some words for this special day, my first thoughts went back to the movie “Love Story” from 1970, the year our son Jeffrey was born. Ironically, the words from the theme song start, “where do I begin to tell the story of how great a love can be....” Ironically, it is about a young couple, a beautiful romance, which took place in Boston, at Harvard, and then sadly ended in a tearful and heart wrenching death. This is exactly how our love affair with Boston Children’s began, continued, and was interrupted by two deaths. But in spite of that, it has endured to this day, and will survive forever. We met Dr. Fred Rosen in the 1970s when we brought our son Jeffrey to Children’s, seeking answers to his complicated and complex disease. Of course, the wise Dr. Rosen was able to help us and was always available each and every time Jeffrey’s doctors in New York sought his advice. Ten years later, when Jeffrey passed away, Fred and I developed a multi-dimensional relationship with Fred Rosen. He began as our mentor and advisor for Jeffrey’s Foundation, and that led to unconditional trust, respect, a warm and deep friendship, our traveling companion, and ultimately, it led to a profound love affair. This teacher, healer, researcher, wise man, cultured man, a person of excellent taste taught us to always pursue excellence. That pursuit of excellence brings us here today-to the work of Dr. Raif Geha and the extraordinary Division of Clinical Immunology that he has so lovingly and wisely nurtured and enhanced, following in the footsteps of his teacher and mentor, Fred Rosen. We are honored to dedicate the Jeffrey Modell Endowed Chair in Pediatric Immunology Research to be held by Dr. Luigi Notarangelo, a brilliant, insightful, immensely talented and universally respected leader in our community. And only a few steps away is the newly constructed Jeffrey Modell Immunology Center at Harvard Medical School, which completes the picture of a comprehensive commitment to immunology and Primary Immunodeficiencies. Our love affair continues to grow and grow, and we are so proud for Jeffrey’s name to flourish here on this campus surrounded by excellence. This is a love story that endures. It is built on trust, respect, integrity, and an unwavering commitment to excellence. What a great joy and honor for us and for Jeffrey’s Foundation. The Jeffrey Modell Foundation held its 22nd Annual “Spring Ahead” Gala on April 24 at Cipriani 42nd Street in New York City, where guests gathered for an evening of dinner, dancing and live music. Over 700 guests attended this year’s “State Fair” themed gala, including Primary Immunodeficiency advocates, educators, patients and their families, supporters from the civic and business communities and the medical and pharmaceutical fields. In his remarks to the gathering, Fred Modell, co-founder of the Jeffrey Modell Foundation, highlighted the stories of three young people impacted by PI and read excerpts from the books that each has written. Later in the evening, the young authors held a book signing to autograph copies of their books. Real estate titan and tireless supporter, Jeff Blau, President, Related Companies, was honored as “Man of the Year.” He surprised and energized the crowd and the Foundation when he challenged the supporters to reach the $2 million mark, by offering to match their pledges dollar for dollar. The guests responded, and achieved an unprecedented milestone -- bringing the amount raised to $2 million for PI research and patient programs. Please save the date for the 23rd Annual “Spring Ahead” Gala, to be held on April 23, 2009 at Cipriani 42nd Street in New York City. The Harvard Medical School, in collaboration with the JMF, completed construction of a new immunology building centrally located on the Harvard Medical School campus. The Jeffrey Modell Immunology Center at Harvard is a unique endeavor serving as a focal point for the most dynamic and diverse community of immunologists in the world. The Center includes a library, lecture halls, reception facilities, a visiting professor office, and graduate student reading rooms. Academic programs are now underway at the Center. The lead sponsor of the House Bill HR 1634 was U.S. Representative Lucille Roybal-Allard. The Senate counterpart Bill, sponsored by Senator Dodd, is S.634. Universal Newborn screening for SCID has already begun in the State of Wisconsin. It is expected that other states will soon follow their lead. At the Jackson Hole IUIS Expert Meeting on Primary Immunodeficiencies, 35 Jeffrey Modell Center Directors and industry supporters convened to address furthering the collaboration among the ever-expanding Jeffrey Modell Diagnostic and Research Centers. There was a unanimous consensus to set up a new, all encompassing, network that would frame the scientific agenda, including best practices, clinical guidelines, outcome measures, data capture, novel therapies, and a research platform. A Steering Committee was formed, and several sub-committees were organized. The Jeffrey Modell Centers Network is now comprised of more than 300 expert Immunologists worldwide at over 285 Referral Centers spanning 6 continents. JMF’s successful collaboration with the State of Wisconsin during 2007 has led to the Nation’s first screening program for all newborns. The Wisconsin newborn screening program began on January 1, 2008. Although there are more than 150 Primary Immunodeficiency defects identified, associated with more than 150 genes, Severe Combined Immune Deficiency (SCID), or “Bubble Boy Disease,” will end a child’s life before his or her first birthday if not precisely diagnosed and treated within the first months of life. This is the reality for the most severe Primary Immunodeficiency disease, and therefore, there is a great need to initiate a screening program for all newborn babies. Experts indicate that SCID can be treated and cured with a better than 95% success rate. JMF formed a partnership with the Children's Hospital of Milwaukee, the Medical College of Wisconsin, and the Wisconsin State Laboratory of Hygiene to initiate the program to screen for these diseases. It is anticipated that there will be early results by the end of 2008. “Immune Reconstitution of Primary Immunodeficiencies,” at Harvard Medical School in Boston. The two day conference focused on unresolved problems of Stem Cell Transplantation (SCT), long-term analysis of immune reconstitution, and novel strategies to expedite immune reconstitution post SCT. The meeting honored the memory of Dr. Robert A Good, considered to be ‘one of the greatest immunologists of the 20th Century’. Forty years ago, Dr. Good and his team conducted the first successful Bone Marrow Transplant to cure Severe Combined Immune Deficiency (SCID) and aplastic anemia. It has emerged as the treatment of choice for many congenital and acquired blood disorders as well as immunodeficiencies. The Harvard Medical School, in collaboration with the Jeffrey Modell Foundation, completed construction of a new immunology building centrally located on the Harvard Medical School campus. The Jeffrey Modell Immunology Center at Harvard is a unique endeavor serving as a focal point for the most dynamic and diverse community of immunologists in the world. Centrally located on the Harvard Medical School Quadrangle, the Jeffrey Modell Immunology Center is the first building in the United States to be designed for a graduate sciences program in Immunology. It will serve as the focus for both faculty and graduate students from Harvard and the scientific community. Most importantly, it will facilitate the collaboration of Immunology Researchers from clinical and basic research departments and profoundly enhance discovery and productivity in the burgeoning field of Immunology. The ‘standing room only’ dedication ceremony was attended by scientific and community dignitaries from around the world. The JMIC will serve as an intellectual template and home to immunologists world wide by providing a venue for lectures, visiting professors, and special events. The JMIC is home to Robert A. Good Library, the Fred S. Rosen Lecture Hall and the Gilbert S. Omenn Conference Room. Robert A. Good, MD, PhD, DSc, FACP known as the ‘father of modern immunology’ is credited with the discovery of the function of the thymus gland, as well as the bifurcated immunologic system of T and B cells, CGD and many more primary immunodeficiencies and other associated disorders. Good and his team, in 1968 in Minnesota, were the first to successfully transplant bone marrow in humans. BMT cured the primary immunodeficiency and aplastic anemia, both for the first time. Fred S. Rosen, MD, another giant in the field was a world-renowned authority on immunology and Primary Immunodeficiency. Rosen was the head of the Center for Blood Research at Harvard and early in his career discovered the cause of the X-Linked Hyper IgM Syndrome. He is equally known for his work on X-Linked Agammaglobulinemia and was one of Jeffrey Modell’s physicians. Gilbert S. Omenn, MD, PhD made valuable contributions to the field of immunology and to the work in Primary Immunodeficiency Diseases. Omenn Syndrome, a variation of RAG I/II was named in honor of Dr. Omenn. Dr. Omenn is currently a Professor of Internal Medicine, Human Genetics, and Public Health at the University of Michigan. Dr. Jean-Laurent Casanova, a world renowned researcher and respected physician at Hôpital Necker Enfants Malades, in Paris, France, published a most provocative study in a recent issue of Science, a prestigious medical publication. The article entitled “Primary Immunodeficiencies: A field In Its Infancy,” expressed the hypothesis that “a paradigm shift is occurring in the field of Primary Immunodeficiencies, with revision of the definition of these conditions and a considerable expansion of their limits. The article appeared in Volume 317 of 'Science', dated August 3rd 2007. Dr. Casanova has been a close collaborator with the Jeffrey Modell Foundation for the past decade. The Jeffrey Modell Foundation has established its first Endowed Chair to support pediatric immunology research. It will assure continuing scientific investigation in Primary Immunodeficiency and Immunology, and help bring more attention to the field in the medical community. Dr. Hans Ochs, a long-time collaborator with the Foundation, has been selected as the first recipient of the Jeffrey Modell Chair. Dr. Ochs is a distinguished professor of Pediatrics at the University of Washington and Children’s Hospital, Seattle and an acclaimed researcher and clinician. Jeffrey Modell Diagnostic Centers have been dedicated in: Stanford, New Orleans, Los Angeles, Seattle, San Francisco, Oxford, England, São Paolo, Brazil and Tokyo, Japan. Currently, plans are underway to establish 8 NEW Centers in 2008. The Jeffrey Modell Foundation together with Baxter Healthcare Corporation, celebrated the opening of a new Jeffrey Modell Diagnostic Center for Primary Immunodeficiencies at Children’s Hospital of Wisconsin and the Medical College of Wisconsin. The Center is under the leadership of Drs. Jack Routes and William Grossman. At the dedication it was also announced that JMF and the state of Wisconsin would be initiating first steps in a pilot program to screen for SCID. The pilot program was successful and now the state of Wisconsin is the first in the Nation to have newborn screening for SCID as a standard protocol for each and every newborn in the state. The Jeffrey Modell Foundation together with Baxter Healthcare Corporation celebrated the opening of a new Jeffrey Modell Diagnostic Center for Primary Immunodeficiencies at the Louisiana State University Health Sciences Center. The Center will reach out to patients and treating physicians not only in New Orleans but to colleagues in Latin America and the Caribbean as well. The Center will be under the supervision and leadership of Dr. Ricardo Sorensen. The Jeffrey Modell Center at Harvard Medical School is now being constructed and will be completed by Fall 2007. Currently plans are to dedicate this Center in November 2007 in connection with the Robert A. Good Society Symposium, which will hold its annual educational meeting. Activities for 2008 are now being planned at the new Center on the Harvard Medical School Campus. Jeffrey Modell Foundation, Wisconsin State Laboratory of Hygiene and Children's Hospital of Wisconsin launch pilot Newborn Screening Program to detect and treat 'Bubble Boy Disease'. Vicki and Fred Modell, co-founders of the Jeffrey Modell Foundation, were invited to the home of Bill and Melinda Gates in Seattle. The Modells were joined by major supporters of the Children’s Hospital in Seattle. After a brief boat ride on Lake Washington, the Gates welcomed each guest individually and urged their visitors to tour their beautiful home. A reception and sumptuous dinner followed. The Jeffrey Modell Foundation has supported the Children’s Hospital for nearly 10 years, funding research and clinical care under the leadership of Dr. Hans Ochs. In June, JMF was invited to participate at the European Union Consensus Conference. The JMF presented data supporting the hypothesis that physician education and public awareness campaigns in the EU countries could lead to earlier diagnosis, treatment and cures. Policy makers, healthcare managers and representatives of the EU countries attended. This is the second appearance for Vicki and Fred Modell at the European Union Parliament. A new Jeffrey Modell Diagnostic Center has been established in Beijing, China. This is the 30th Jeffrey Modell Center worldwide. The Center will be led by Dr. Xiao-Ming Gao of Peking University and supported by Hong Kong Vigconic International and the Beijing Council of Science and Technology. An International Symposium on Primary Immunodeficiencies was part of the Center’s launch in May 2006 where leading experts from all over the world were invited to speak to treating physicians in the region. The meeting was sponsored by JMF, the Luk’s Group of Hong Kong, and the Beijing Municipal Science and Technology Commission and it was organized in collaboration with the Chinese Society for Immunology, Beijing Society of Immunology, and Beijing Association for Science and Technology. Dr. Gao is working in close collaboration with the Beijing Children’s Hospital which sees over 2.8 million patients per year. In a related development, Dr. Xiaochuan Wang, Children’s Hospital of Fudan University in Shanghai, conducted the first ever JMF KIDS Day in Asia, funded by a WIN Grant. The Beijing and Shanghai Centers will be working together in close collaboration. Over the past year, new Jeffrey Modell Diagnostic Centers were established in Atlanta, Miami, and Milwaukee, bringing the number of Centers worldwide to 30. To date, the JMF Centers overall have reported a 79% increase in the number of diagnosed patients, 54% increase in patients receiving treatment, and 57% increase in the number of patient referrals. If you're looking for information on groundbreaking scientific material, you’ll find some of it here. See below for a list of publications about gene discovery, new defects, and more. 17. Somech R. T-cell receptor excision circles in primary immunodeficiencies and other T-cell immune disorders. Curr Opin Allergy Clin Immunol. 2011 Dec;11(6):517-24. doi: 10.1097/ACI.0b013e32834c233a. 20. Ives ML, Ma CS, Palendira U, Chan A, Bustamante J, Boisson-Dupuis S, Arkwright PD, Engelhard D, Averbuch D, Magdorf K, Roesler J, Peake J, Wong M, Adelstein S, Choo S, Smart JM, French MA, Fulcher DA, Cook MC, Picard C, Durandy A, Tsmura M, Kobayashi M, Uzel G, Casanova JL, Tangye SG, Deenick EK. Signal transducer and activator of transciprtion 3 (STAT3) mutations underlying autosomal dominant hyper-IgE syndrome impair human CD8(+) T-cell memory formation and function. J Allergy Clin Immunol. 2013 Aug; 132(2): 400-11.e9. doi: 10.1016/j.jaci.2013.05.029. Epub 2013 Jul 4. 21. Moshous D, Martin E, Carpentier W, Lim A, Callebaut I, Canioni D, Hauck F, Majewski J, Schwartzentruber J, Nitschke P, Sirvent N, Frange P, Picard C, Blanche S, Revy P, Fischer A, Latour S, Jabado N, de Villartay JP. Whole-exome sequencing identifies Coronin-1A deficiency in 3 siblings with immunodeficiency and EBV-associated B-cell lymphoproliferation. J Allergy Clin Immunol. 2013 Jun;131(6):1594-603. doi: 10.1016/j.jaci.2013.01.042. Epub 2013 Mar 21. 23. Kotlarz D, Ziętara N, Uzel G, Weidemann T, Braun CJ, Diestelhorst J, Krawitz PM, Robinson PN, Hecht J, Puchałka J, Gertz EM, Schäffer AA, Lawrence MG, Kardava L, Pfeifer D, Baumann U, Pfister ED, Hanson EP, Schambach A, Jacobs R, Kreipe H, Moir S, Milner JD, Schwille P, Mundlos S, Klein C. Loss-of-function mutations in the IL-21 receptor gene cause a primary immunodeficiency syndrome. J Exp Med. 2013 Mar 11;210(3):433-43. doi: 10.1084/jem.20111229. Epub 2013 Feb 25. 24. Zhang L, Thrasher AJ, Gaspar HB. Current progress on gene therapy for primary immunodeficiencies. Gene Ther. 2013 Oct;20(10):963-9. doi: 10.1038/gt.2013.21. Epub 2013 May 30. 26. Abraham RS, Recher M, Giliani S, Walter JE, Lee YN, Frugoni F, Maddox DE, Kirmani S, Notarangelo LD. Adult-onset manifestation of idiopathic T-cell lymphopenia due to a heterozygous RAG1 mutation. J Allergy Clin Immunol. 2013 May;131(5):1421-3. doi: 10.1016/j.jaci.2012.09.016. Epub 2012 Nov 2. 27. Roifman CM, Seger R, Tang ML, Puck JM, Chapel H, Notarangelo LD, Casanova JL. A phenotypic approach for IUIS PID classification and diagnosis: guidelines for clinicians at the bedside. J Clin Immunol. 2013 Aug;33(6):1078-87. doi: 10.1007/s10875-013-9901-6. Epub 2013 May 9. “Consensus Recommendations for the use of Immunoglobulin Replacement Therapy in Immune Deficiency"